Earlier this year the special rapporteur on human rights in Iran, Asma Jahangir delivered a dim report about all the violations committed in Iran and for the first time she mentioned the 1988 massacre of political prisoners by the Iranian regime, she also called for the assembly of a committee to investigate the Massacre and to bring the culprits to justice. As expected the Iranian regime was trying to cover up their crimes by making accusations against the UN special rapporteur claiming that all crimes were fabricated and accused her of being totally political against Iran. He claimed that all minorities in Iran are allowed to have activities unless they are harmful to Iranian society ( read the clerical regime). He also added that “we denounce the appointment of the country-specific Rapporteur …., no country should change its way of life because of western dictation” Mr. Hassaninejad seem to forget that murder is not a way of life, it is a crime. And any regime that legitimate murder like the 1988 massacre must be prosecuted and sentenced in an independent court of law. In her report, Jahangir expressed concern over the rate of executions in Iran. Reports indicate that at least 435 persons have been executed in the first half of 2017. At least 4 of them was children. And 86 children are on death row, this is the known cases, the actual figure might be higher. Mrs. Jahangir asked for a withdrawal of the death sentence that has been issued to the imprisoned teacher Mr. Taheri, she also called for his unconditional release. The massacre of 1988 in Iran was addressed as a crime against humanity and the Rapporteur added that the persecution of ordinary Iranians based on their political beliefs is not a recent phenomenon but is well ingrained in the Iranian regime’s DNA. She added that in 1988 the regime slaughtered more than 30 000 political prisoners in just a couple of months, the regime buried the victims in mass graves and tried to cover up the crime, to hide it from the rest of the world. The rapporteur stressed that despite the recent acknowledgments of the genocide from the highest- ranking members of the regime, the international community has still been largely silent and this silence must end. Jahangir said that the families of the victims have a right to remedy, reparation and the right to know the truth about these events and the fate of their loved ones without reprisal. She repeated her call upon the government to ensure that a thorough and independent investigation into these events is carried out. Jahangir also paid tribute to the many human rights defenders who have risked their lives to speak to her about the situation in Iran. We will join Jahangir in her call to bring justice to the victims of the 1988 Massacre and we would like to urge the UN to assemble an inquiry committee to investigate the massacre. We might never know the exact number of victims of this hideous crime but we will continue our quest to bring the culprits to trial. And to get justice for the victims of the 1988 massacre. Since she joined the Iranian resistance more than 40 years ago, Maryam Rajavi has become the phoenix that has united the different organizations that the Iranian resistance is made up of. She was born into a middle-class family. She and her siblings, a brother, and two sisters were a part of the MEK, first during the reign of the Shah,(1973-1979) later under the rule of the Mullahs. Her Brother Mahmoud is a veteran member of the MEK and was a political prisoner during the Shah’s regime. Her sisters were both killed, her older sister Nargez by the Savak (the security police of the Shah)in 1975, and Massoumeh was killed by the mullahs regime in 1982, she was pregnant at the time. Maryam Rajavi was running for a seat in the parliament in 1980 but was a victim of an election fraud by the mullahs, a conduct the mullahs have continued up until this years election. 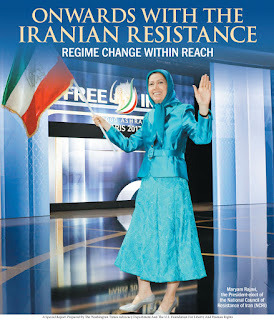 In 1993, during its plenary session, the National Council of Resistance of Iran, a coalition whose members include a number of Iranian opposition organizations and prominent personalities, elected Mrs. Rajavi as the President-elect for the period of transitioning power to the Iranian people. In these days we celebrate the anniversary of the election. 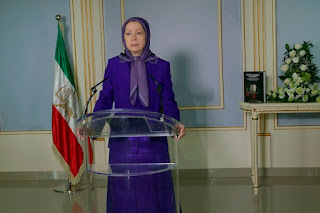 As the president-elect of the NCRI Mrs. Rajavi has mounted an extraordinary political, social, cultural and ideological challenge to the ruling mullahs in Iran. Under her leadership, women of the resistance have obtained equality to men. Many women in the NCRI hold key positions in the organization and Half of the NCRI members are women. All of this has been made possible under the rule of Maryam Rajavi. The very fact that the NCRI elected a female president has been a major problem for the mullahs in Tehran, they do not recognize women as equal persons compared to men. In the eyes of the mullahs regime, women are worth half of that of a man, and a woman must obey her husband, she can not do anything without the approval of her husband. Mrs. Rajavi has published 3 books on the subject of women’s role in Islam “Islam, women and equality.” “Women, the force for change.” And “Women against fundamentalism”. As early as in 1994, in a speech in Oslo City Hall, Mrs. Rajavi warned about the octopus of the religious tyranny and Islamic fundamentalism whose heart beats in Tehran. In December 2004, at a speech in EU parliament, she proposed the third option for Iran. The two first was to compromise with the mullahs and the second was overthrowing of the mullahs by a foreign war, none of these options are optimal so she proposed a third option where the change in Iran comes from the people and the Iranian resistance. Mrs. Rajavi has become the beacon of hope for all Iranians that are working for a free and democratic Iran, the people of Iran know that under the leadership of Mrs. Rajavi this can be the future Iran, but they also know that an overthrow of the mullahs is a must. And the Iranian people know that Mrs. Rajavi will lead them well towards freedom. On October 20th, 2017 during a National Press Club Luncheon entitled New US policy: The way forward. 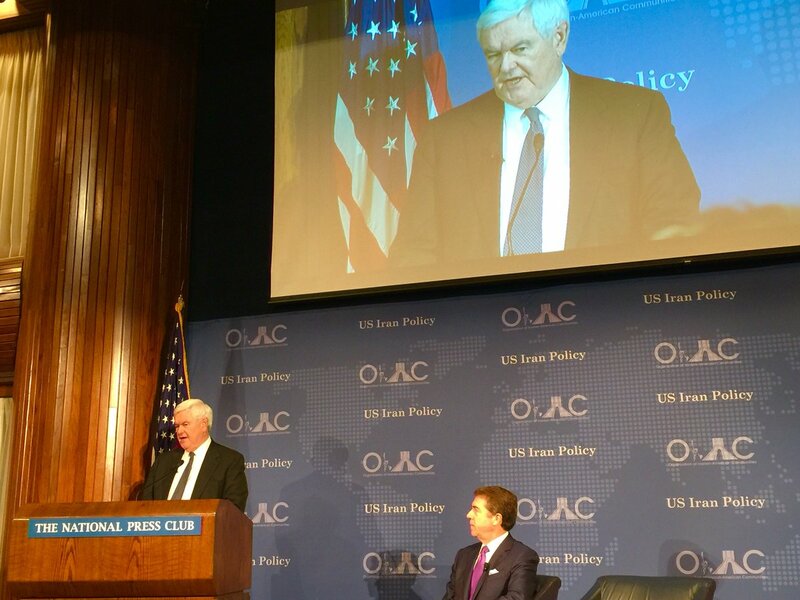 Gingrich delivered a powerful speech where he praised President Trump’s decision to decertify the JCPOA nuclear deal and condemning the Iranian regime and its ideological arm, the IRGC. He stated that in his opinion the President made the right decision regarding the JCPOA, the very fact that he did not recertify the JCPOA show that the President is on the right path. He did not break out of the agreement. But he communicated that the agreement was vulnerable. Regarding the JCPOA, the former house spokesman noted that this is in the end about a dictatorship which defined in its very constitution that it is a revolutionary regime with global aspirations. He added that this is about a regime which just three weeks ago when parliament passed a defense bill chanted “Death to America”. 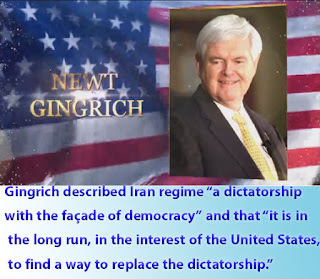 Gingrich described the regime as a dictatorship with the façade of democracy, he added that it would be in the best interest of the US to find a way to replace the dictatorship. Gingrich expressed his support for the National Council of Resistance of Iran, the NCRI. He stated that the NCRI has been the best source of information on the Iranian nuclear program. He added that the NCRI President-Elect Maryam Rajavi has done an amazing job of leading an organization through a very long, very difficult period. 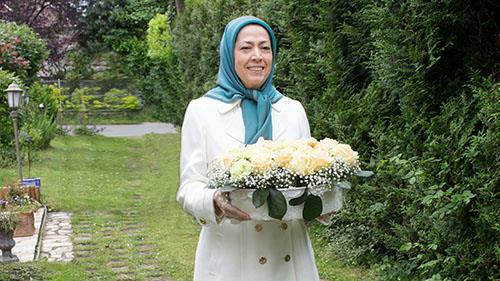 He expressed hope that at some point in the near future that Mrs. Rajavi would be invited to the United States and to have both the chance to meet with American leaders in Washington, but also to tour across the country. He added that Mrs. Rajavi is one example of a symbol of resistance to the dictatorship that would have a huge impact across the country. Gingrich concluded his speech by expressing his “strategic optimism” for Iran, he stated that we have an enormous amount of work ahead of us, but he thinks it is doable and the tide of history is with freedom, we will get stronger and they will get weaker he said. We have high hopes that the American President will be firm on his change of policy regarding the dictatorial regime of Iran and that he will show his support for the will of the Iranian people, a regime change. Only then can we bring the armed conflicts in the middle east to an end. 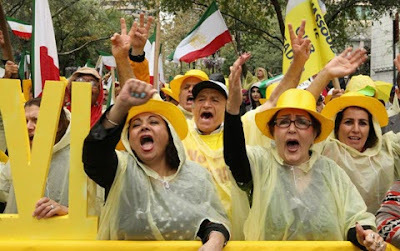 It is a known fact that the Iranian resistance will remove the nuclear facilities from Iranian soil entirely, they are aspiring for a nuclear-free Iran. So the best solution to the Iranian nuclear threat would be to remove the mullahs from power and to insert a democratically elected government. 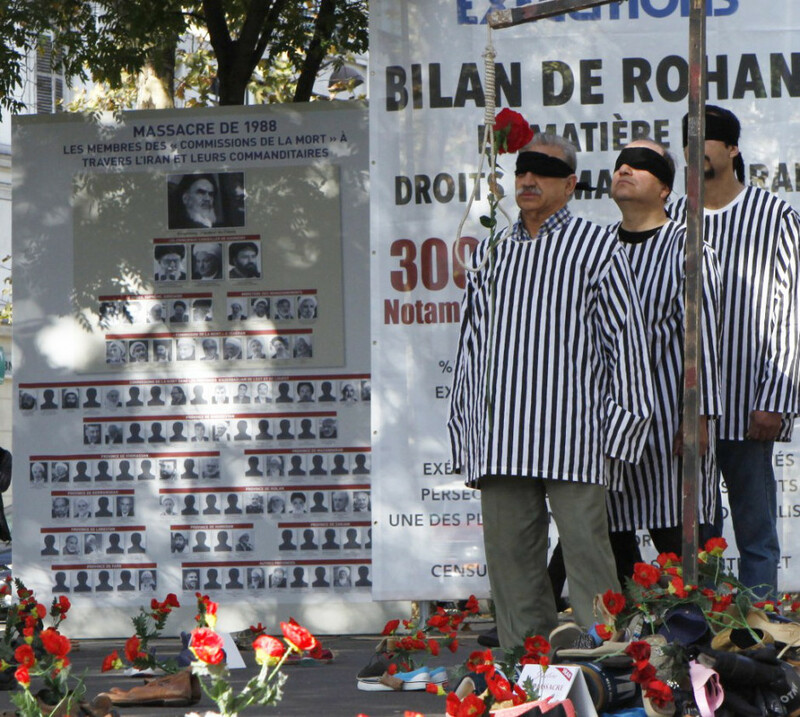 It has become common knowledge that during the summer of 1988 the clerical regime murdered more than 30 000 political prisoners in the most brutal fashion. 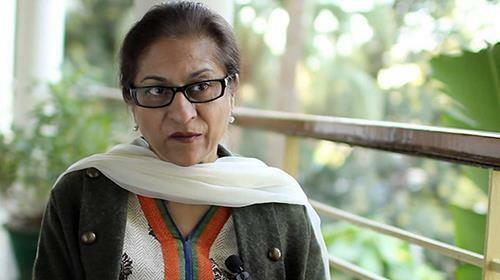 The UN special rapporteur Asma Jahangir mentioned the massacre in her rapport to the UN when she addressed the human rights situation in Iran this year. There has also been requested that the UN should assemble an inquiry committee to investigate the 1988 massacre. The audio tapes that were revealed by the late Ayatollah Montazeri’s son leave no doubt that Khomeini’s death Fatwa was a crime against humanity and must be dealt with accordingly. The fatwa about killing members and supporters of the PMOI was a crime against humanity and all the people that had a role in implementing this decree were involved in a crime against humanity. It is no secret that the same people that were involved in these killings are the same people that are now at the helm of the Islamic Republic of Iran and they are also involved in the suppression and destruction of different sectors of Iranian society. It is clear that the culprits behind the 1988 massacre will continue to abuse human rights until they are faced with a judge and a jury and are tried for this hideous crime. The first step will be to acknowledge the 1988 massacre, the second step will be to start an inquiry to reveal the extent of this crime, the third step is to seek justice for the 30 000 victims of this horrific crime. The very fact that everyone that had any connection with the PMOI was murdered, not even unborn babies were spared, they got killed with their mothers. Also, children were reported killed during this killing spree by the regime. Youngest victim we know about was 13 years old. The list of victims that were killed during the summer of 1988 might never be completed since the regime is doing whatever they can to cover this up, they have even resorted to demolishing the mass graves of the victims in an effort to destroy vital evidence of the crime. We, therefore, urge you all to join us in our request to the UN that the 1988 massacre must be mentioned as a human rights violation and that an independent inquiry committee must be appointed by the UN in an effort to seek justice for the thousands of victims that perished under this massacre. For the past 3 weeks, the people of Iran has conducted a 24-hour sit-down to protest the regimes plundering of their assets. The protesters are no longer afraid of the police and their slogan for the protests are “Shame on you #Rouhani “. There are videos of the protests spread all over the internet so the regime’s censorship agencies have failed in their strategy of trying to isolate the Iranian people from the rest of the world. 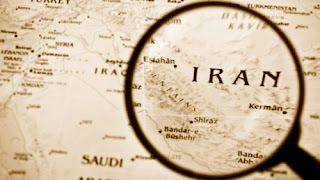 It has been a long-term strategy of the regime to cut the Iranian society’s connections with the rest of the world but people are inventive in their ways of getting the messages out to the rest of the world. The Iranian wealth has been plundered from the people and have ended up in the pockets of the mullahs or have been used to monger war I Syria, Iraq and Yemen. This conduct has made the “Persian lion” angry, the mullahs are getting richer at the expense of the people and that is not acceptable. Many of the protesters have not been paid their lawful salaries and people are starving due to the rise in poverty that the regime is the main cause of. The Iranian people show the regime exactly what they think of the regime and there is no doubt that the Iranian people want a regime change in the near future. We have seen during the presidential (S)- election that people are no longer playing along with the regime's games and made it very clear that their preferred president was the NCRI President-Elect Mrs. Maryam Rajavi. Posters all over Iran brings testimony to this wish from the people. And during the second half of the year, we can see a significant rise in protests all across the country. This is a clear sign of the beginning of the end for the clerical regime. People are letting the regime know that enough is enough, they will rather die standing than living their lives on their knees. The proud people of Iran are showing the mullahs that they stand tall and will never yield. The only solution to the plundering and the poverty are a regime change, only when NCRI and the Iranian people are in charge of Iran will there be peace and democracy. The NCRI has pledged to establish a social security system that takes care of the children, the old and the disabled, in the future Iran no one will starve or be homeless. The government will be working to make lives better for the average Iranian, not like it is now, just the mullahs and their families are not starving. And it is this future Iran that the people are protesting for, they want a democratically elected President and they want basic human rights and above all they want freedom. 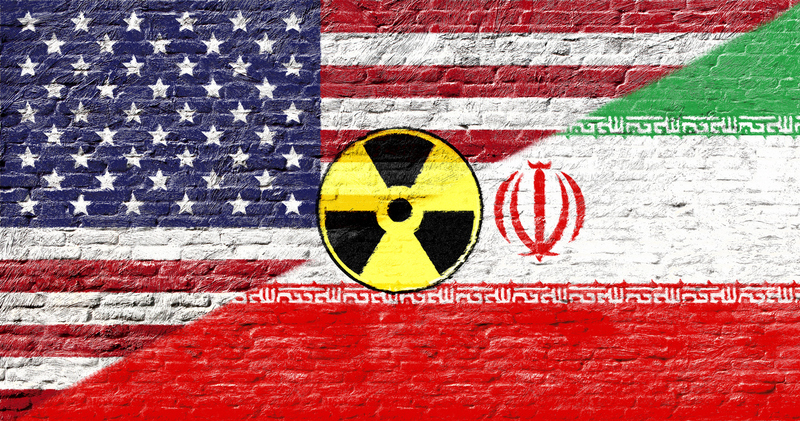 What impact will Trump’s decertification of the JCPOA have on the Iranian regime? A few days ago Trump was addressing the JCPOA and all its flaws. He made it very clear that the days of appeasement of the Iranian regime is over and done with. He made it clear that the United States will make sure that Iran never acquires a nuclear weapon. He also pointed out that the IRGC’s activities must be stopped at any cost. He further stated that the suffering of the regime’s longest suffering victims, its own people must come to an end. Trump claimed that if the nuclear deal had not been signed in 2015 the Iranian regime as we know it would cease to exist. The American President acknowledged the criminal actions of the regime and that steps would be taken accordingly. The President-elect of the NCRI, Mrs. Maryam Rajavi welcomed the decision from the American President as a good step in the right direction. 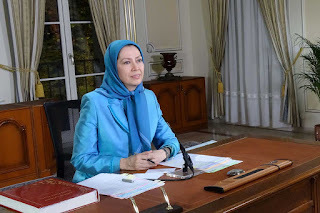 She added that a firm policy towards the regime is long overdue, however, the ultimate solution is the overthrow of the regime and the establishment of freedom and democracy in Iran by the Iranian people and its resistance. -The regime’s crimes and particularly the 1988 massacre of 30 000 prisoners must be referred to the UN Security Council and the criminals must be brought to justice. -The clerical regime, the IRGC, and its mercenary militias must be expelled from Iraq, Syria, Lebanon, Afghanistan, and Yemen. And they must be prevented from shipping arms and dispatching forces to these countries. -In view of its support for terrorism and continued human rights abuses, the Iranian regime must be denied access to international banking systems. - And the previous UN Security Council resolutions on the clerical regime’s nuclear weapons project, ban on nuclear enrichment, as well as free and unconditional inspections of military and non-military centers must be implemented. Only time will tell how the middle east puzzle will look like in a few years but one thing is certain, the Iranian people and its resistance will not rest until Iran is a free and democratic Iran. The Mullahs will no longer rule the oppressed Iranian people and the country will prosper and grow once again. How does Iran sponsor global terrorism with IRGC? In a short but very informative video, we can see how Iran has been training terrorists in Iran and dispatching them across the globe. 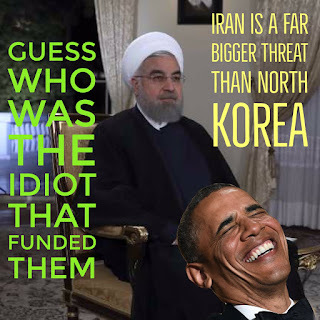 Iran is the very reason ISIS came to be. Even the United States Government, in their annual report on terrorism 2016, referred to Iran as the world’s foremost state sponsor of terrorism. They also state in their report that Iran is, in fact, employing foreign nationals. But how does Iran pull that off? We need not look any further than the IRGC’s extraterritorial arm, the Quds force, they are involved in terrorist activities all around the globe, not only in the Middle East area. The history behind the IRGC is that the force was established to preserve the power of the clerical dictatorship of the regime. The IRGC is ensuring that by committing terror against its own people. The IRGC is also the main force that ensures the regime's pursuit of a nuclear weapon. As the world teachers day are approaching it is disturbing to see all the gruesome news from Iran. It is a paradox that the richest region in Iran does not have enough teachers for their schools. 40% of the schools do not have teachers. And the regime's crimes against teachers and students continues. 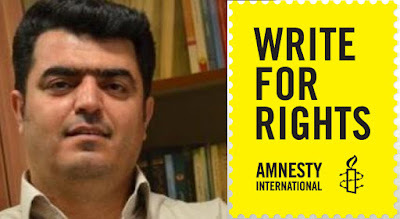 The former director-general of Teachers’ Trade Association, Esmail Abdi is on a hunger strike in prison, another teacher from Gilan has been sent into exile for singing in art class. 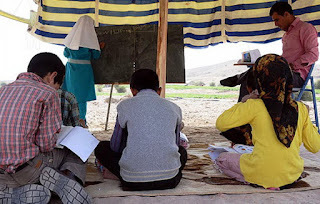 The human rights violations against Iranian teachers and students are increasing and are most likely to rise even more under the mullahs, the mullahs have effectively destroyed the Iranian educational system and they are not going to rectify their errors anytime soon. The protests across the country are a clear sign of the discontent of the people, not only teachers and students but the general Iranian population. Teachers are protesting to get their salaries and their fund back but this is dangerous, many teachers have been arrested and tortured or sent in exile, this must stop if the regime does not follow the human rights bill they must resign from power. This inhumane anti-social regime has no place in 2017. During the past days, Idlib province, Northern Hama province, Aleppo West and South countrysides, Douma in East Ghouta and many other liberated areas have been targets of horrific air strikes by the Assad regime Airforce with help from the Russians. In Madira, Eastern Ghouta the regime forces attacked a center for the disabled. Another airstrike killed at least 3 medical personnel and damaged a number of medical facilities. The regime forces also target the Civil Defence Centers. This kind of news from Syria, unfortunately, becomes the new normal for all Syrians in the liberated areas. As a response to all the killing a group of activists, the same group that started the campaign #StandWithAleppo back in October 2016, started a new campaign after they received distressed messages from their friends. They told the group that the bombing of Idlib and Aleppo countryside reminded them of the siege of Aleppo. The Twitter storm on Sunday 01.10.2017 was their response to their friend's distress call. Idlib has been hit by over 500 airstrikes this week, even in a de-escalation area, a vegetable market was hit. Not even the facilities of the White Helmets are spared. And of course, as always Assad's forces bombed schools and hospitals. The volcano of anger is about to erupt on the Iranian mullahs. 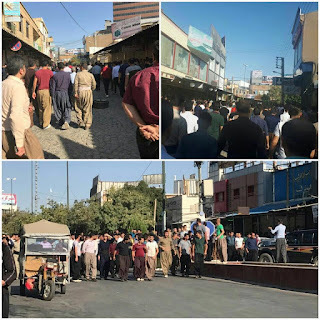 This past week we have been witnesses to an enormous rise in protests across Iran, people are fed up with the bad ruling of the clerical regime and people are no longer afraid of the regime. People no longer put up with the looting and plundering of peoples funds by the mullahs of the regime, people want their money back and they are protesting to show the regime that they are very discontent with their way of conduct against their own people. The crises the increase in protests are a sign of is that of a regime that is on the brink of collapse, all the protests across Iran is shaking the very foundation of the clerical dictatorship of the mullahs. 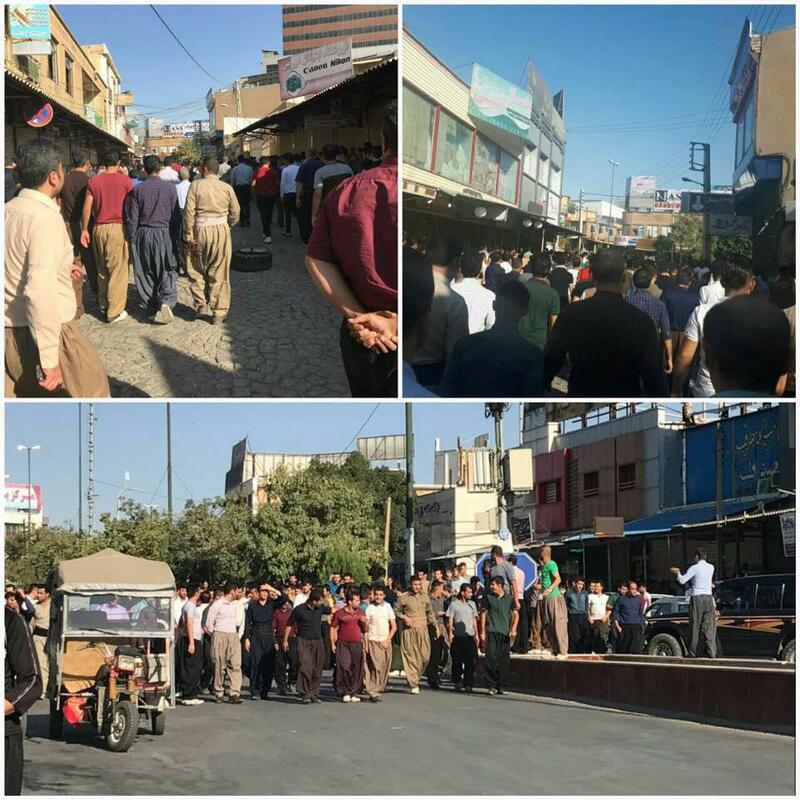 Some of the protests were about lack of payment according to reports the workers of the Azar-water factory have not been paid for almost 5 months, the workers at Hepco factory have not been paid in full since December 2016. 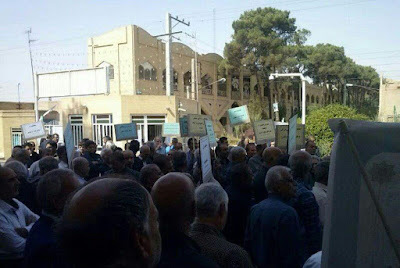 One other source for the protest was the Caspian Credit institution that was able to plunder peoples savings with impunity, they were able to do this thanks to their links to the much hated IRGC, the Iranian regime’s terrorist organization. More than 5000 institutions of this kind have been plundering the people for more than two decades. On September 20th, the National Council of Resistance of Iran reported that 1,800 workers of the Azarab factory in Arak gathered for the fourth day to protest the company’s failure to pay their salaries and benefits for six months. The response from the regime was that of regime repressive forces firing tear gas into the crowd in an attempt to disperse the protesters. There was also fired live rounds into the air and the regime forces were beating the workers with clubs. The rise in protests that we can see happening in Iran is a sign of the boiling conditions in Iran the peoples discontent of the mullahs are like a volcano ready to erupt, and when it does that will mark the end of the dictatorship of the mullahs. The rise in protests shows that the society in Iran is explosive and the mullahs see this and they fear it, the regime is very well aware of the power of the people, the mullahs elite, the looters are only 4% of Iran's population, the remaining 96 % are the poor starving civilian population. And the 96% will prevail and overthrow the tyrannic regime and pave the way for the Iranian resistance that will bring peace prosperity and democracy to the oppressed people of Iran. 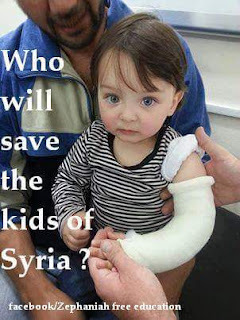 The Syrian killing, when will it stop? As the years have passed it is very evident that the only reason the Assad regime is still alive is the support of the Russians and the murderous mullahs In Tehran. Assad would have been gone 5 years ago if it has not been for the Iranian Mullahs. 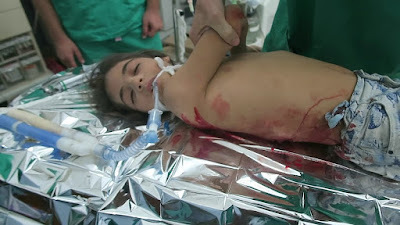 And thanks to the support of the Iranian mullahs, Assad is capable to bomb cities and kill innocent children. In this year's UN General Assembly the Syrian war seems to pass unnoticed, the UNGA seems more concern about the North Korea crisis and the Iran nuclear deal. And while the world seems to have forgotten all the dead children in Syria, Assad keeps killing them and no-one is protesting. The most despicable act by Assad and his forces is the very fact that they are not fighting armed forces but children, old people, and women. In other words innocent unarmed civilians. Leila Bayat, 36 was deported from Norway, Tuesday she received 80 lashes in Iran. Before she arrived in Norway, Leila Bayat received a sentence of 80 lashes for alcohol consumption. The Norwegian authorities did not believe her and sent her back to Iran, Tuesday the sentence was completed and she received the 80 lashes. Leila Bayat came to Norway in 2009 together with her son Mani, she told the authorities that if she was to be sent back she would be flogged, UNE thought that the sentence was fabricated and decided it was safe to send her back to Iran, they assumed she had lied about the sentence and that no harm would come to her if she was to be sent home to Iran. On March 8th this year she was deported, after 8 years in Norway she was sent back alone, her son got his family reunion with his father in Steinkjer, Norway approved and was allowed to stay. «The Iran deal was one of the worst and most one-sided transactions the United States has ever entered into. Frankly, that deal is an embarrassment to the United States and I don’t think you have heard the last of it believe me. This was the most important points in Trump’s speech in UN on 19 September 2017. He is giving us pointers on what his policy against the Iranian regime will look like. This new approach against the regime is making it more isolated than ever before. Trump states that the regime fears its own people and that is the truth, the regime is aware of that only 4% of the Iranian people support the regime, 96% want a regime change. The regime knows that their continuance of rule all depends on the JCPOA so they are clinging on to it, tooth and nail. The regime knows that if the nuclear deal is not ratified, the days of their regime are numbered. The regime is also aware of that the power of the Iranian resistance is the only opposition strong enough to topple the clerical regime. The regime has been feeling the discontent of the people for a long time now and the more isolated the regime get’s the more likely it is that the people of Iran will prevail and be victorious against the regime. Maryam Rajavi, the President-elect of the National Council of Resistance of Iran (NCRI) welcomed President Trump’s remarks and characterized them as the first testimony by a US President over the past 38 years to underscore the need for regime change in Iran by the Iranian people, a cause that has been the declared policy of the Iranian Resistance for the past 36 years. The fear of the regime is manifesting itself as more harassment, more laws against women, more political prisoners, more executions in public and above all much more violations on basic human rights. These are all issues that the world leaders must confront the regime about, let the regime know that violations of human rights will get hem even more isolated. The days of the regime is over and it is time for the people of Iran to get their long deserved freedom and to bring democracy to the Iranian people. One other just as important point is that when the clerical regime is gone there will be peace in the middle east, at last, it is a well-known fact that the only reason for Assad to be holding on to power in Syria is the support he gets from Iran regime. The slaughter of Sunni Muslims in Iraq will also come to an end when the regime in Iran is removed from power. So the benefits of a regime change in Iran is fundamental and it is most desirable for the Iranian people and for people in the entire region. The ten point plan for a future Iran created by the Iranian resistance will ensure that there will be no need for a nuclear deal because their tenth point clearly states that under the rule of the NCRI Iran will be nuclear-free. Why is the Iranian regime so scared of UN inspectors? One of the main reasons for the Iran regimes fear of inspectors is mostly all their hidden missile facilities where they develop ballistic missiles big enough to carry a nuclear warhead. Countries in the west are forbidden to provide missile technology to Iran, but North Korea is not and they are sharing their discoveries with the Iranian regime. The regimes fear of the UN became evident under US ambassador to UN, Nikki Haley’s visit to Vienna. What is the regime hiding that they are so worried about? It is no secret that the regime has been working overtime to achieve a workable ballistic missile with the capability to carry a nuclear head. The concern must be that when the nuclear deal expires Iran will have a nuclear bomb the very next day. A major concern in this matter must be, what is the regime so afraid that the world can find out if they inspect the military compounds? Irans fear of inspectors have grown out of proportions after the Obama appeasement policy period has come and gone, Trump has no intention to appease the Iranian regime. The only thing Trump wish to show the Iranian regime is who is the new top dog on the block. The Iranian lobby is working overtime in their effort to persuade Trump that if he cancels the nuclear deal he will have a new war on his hands in the middle east. This is far from the truth if Trump cancels the JCPOA he must put enormous sanctions on Iran which will, on the other hand, strangle the Iranian money flow into Syria, Yemen and Iraq. If Iran refuses inspectors to enter their military facilities the whole world will be wondering what the regime has to hide? And it will certainly push Trump in the direction of canceling the nuclear deal. Trump must never release the pressure on the regime, only by holding them under pressure can we get a necessary regime change in Iran and a regime change would be the only way to secure peace and freedom to the Iranian people and the rest of the region. The NCRI is the only option for a nuclear free Iran, the Iranian resistance has in their ten point plan for future Iran that under their rule Iran will be nuclear free. So if Trump wants Iran to be nuclear free he must support the Iranian resistance demand of a regime change. Long live the Iranian resistance, may you prevail in our lifetime. 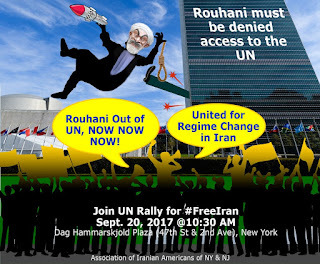 For several years now, Iranians community in the USA and their supporters have held rallies in front of UN to Protest the conduct of the Iranian regime. This year is no different. The rally this year will take place on September 20th outside the UN headquarters. This year a photo exhibition commemorating the anniversary of the 1988 Massacre will be on display. Present at the rally this year will be exile-Iranians and their supporters which will be joined by many Syrians who are protesting IRGC presence in Syria. The main slogan in this rally will be «No2Rouhani». but also «Iran out of Syria» the call for a regime change in Iran is also important issues for this rally. 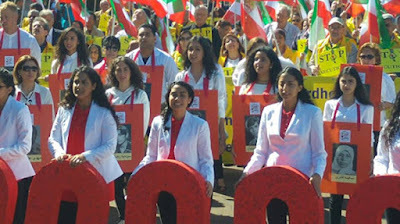 In this rally, thousands of Iranian-American community members will join human rights activists and prominent civil and political leaders to condemn unabated executions in Iran. We have seen under Rouhanis tenure that in fact the number of executions are not unabated but are in fact increasing. More than 3000 executed, in July alone at least 101 Iranians executed. So far this year 408 people have been executed according to official numbers but the actual amount of executions might be higher due to secret executions. It is therefore of utmost importance that we protest this grave violation of human rights that is taking place at the hands of the Iranian regime. It is a known fact that Rouhani represents a regime responsible for the execution of 30 000 political prisoners in 1988, and the UN must recognize this and uninvite him to the UN assembly. Iranians demand the UN not to allow a perpetrator of the 1988 massacre of Iranian political prisoners access to the UN assembly. One other issue important in this rally is the urgent matter of expelling the Iranian regimes forces IRGC out of Syria, at this rally the demand will be to remove all Iranian presence in Syria so that the Syrian people will get their freedom. It is a known fact that without the support of the terrorist group IRGC, Assad would have lost power many years ago. Rouhani is the main supporter of dictator Assad in Syria, and the only way to be able to end the conflict in Syria will be to expel Iran from the whole region.One of the most hideous crimes committed in Syria by IRGC was the Aleppo massacre in 2016. Therefore the demand is to expel Iran from Syria. We demand the UN, judge Rouhani by his deeds and not by his words for he has no problem to lie if that gives him an advantage. Look at how he is approving torture in prisons, not objecting to executions, he was, in fact, the very man that expressed the wish for public executions after Friday prayers. Rouhani was one of the key players behind the mass executions of political prisoners in Iran in 1988. Iranian Americans will in this Rally emphasize that regime change in Iran is imperative and achievable, not by means of outside military interference, but from Iran’s own people and their organized resistance, which is fully prepared to facilitate that change. Please keep speaking out for the political prisoners in their 40th day of hunger strike. We must show them they are not forgotten. 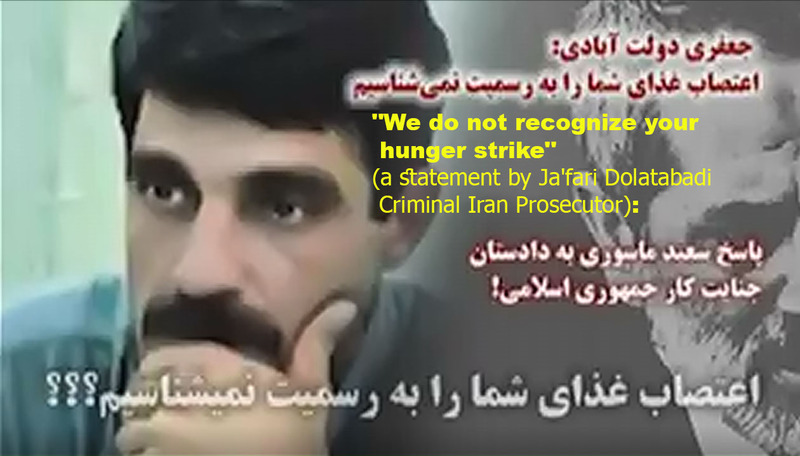 Political prisoners message from Gohardasht:"We can never die and not surrender"
After more than 40 days on hunger strike, the political prisoner's lives are in grave danger due to lack of attention from the prison authorities. The prisoners have been ignored and neglected. But at the same time, the prisoners on hunger strike have gained enormous support around the world. The whole hunger strike started as a protest against the inhumane conditions in the prison. The prisoners have gained support from political prisoners across Iran. And political leaders in Europe have become aware of the grave situation the political prisoners in Iran live under. The human rights violations these prisoners suffer every single day is abuse at best but the prisoners are often subjects to the torture of both physical and mental character. One of the prisoners is Saeed Masouri, currently serving a life sentence in prison he has been in jail for the last 17 years. He wrote a letter where he refers to the inhumane treatment of political prisoners. "We can never die and not surrender"
"You recognized the lawless trial ?! Do you recognize the death sentence made in 10 minutes ?! Did you recognize 2 years of solitary confinement? Have you been kept inside a cage? Not even have the name of the prisoner registered in any prison computer? Did you recognize the news boycott in all media of imprisonments and condemnations? We never recognize the cruelty and punishment of prisoners, and now that we have been struggling for 30 days, even though we have lost most of our physical capacity ...., We can never die and never give up. " 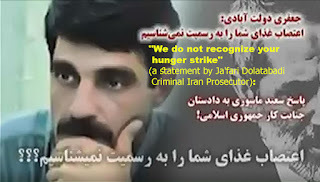 All the while the regime does not recognize the hunger strikers. The regime pretends as if they do not exist. This is the only response we can expect from this regime of tyrants, they know nothing else than to suppress and torture the Iranian people whether they are on the streets or in prisons across Iran. 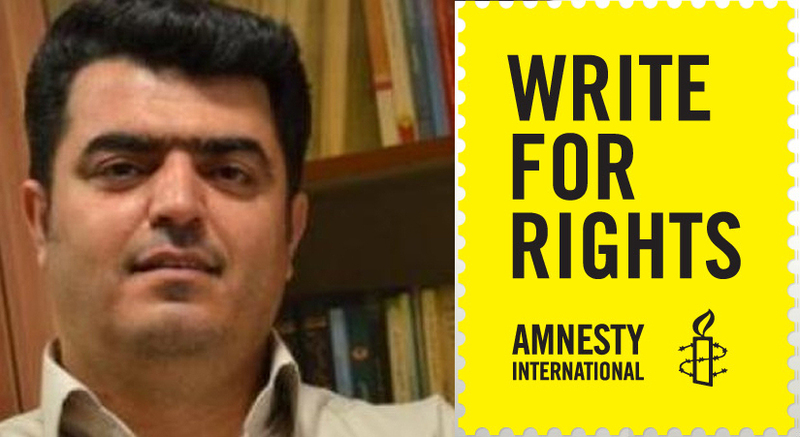 And the Iranian regime is notorious for imprisoning human rights activists, politicians from the opposition, and journalists. The regime holds a terrible record when it comes to dealing with the political opposition, over the years the Clerical regime has murdered more than 120 000 politicians from the Iranian resistance. And it is evident that the regime will continue to suppress political prisoners in every prison across the country. The best you can do for the prisoners on hunger strike will be to put pressure on the regime to meet the demands of the prisoners. US Ambassador to the UN Nikki Haley said that the 2015 Iran nuclear agreement, the JCPOA, was a bad agreement which Iran has repeatedly violated. Ambassador Haley spoke at the American Enterprise Institute about the deal Tuesday, Sep 5, 2017. The ambassador said that the JCPOA is "a very flawed and very limited agreement. But even so, Iran has been caught in multiple violations over the past year and a half." She said that Iranian violations of the agreement began soon after it was signed. "In February 2016 – just a month after the agreement was implemented – the IAEA discovered Iran had exceeded its allowable limit of heavy water. Nine months later, Iran exceeded the heavy water limit again. Both times, the Obama Administration helped Iran get back into compliance and refused to declare it a violation." Ambassador Haley accused the Obama Administration of putting the deal ahead of all other concerns and said that the JCPOA prevents the US and the international community from acting to put an end to Iran's other destabilizing activities, such as its control of multiple international terrorist organizations. "And if sanctions are re-imposed, Iran is then freed from all the commitments it made. "Think about that. There is an absurdly circular logic to enforcement of this deal. Penalizing its violations don’t make the deal stronger, they blow it up. "Iran’s leaders know this. They are counting on the world brushing off relatively minor infractions, or even relatively major ones. They are counting on the United States and the other parties to the agreement being so invested in its success that they overlook Iranian cheating. That is exactly what our previous administration did." Ambassador Haley said that US President Donald Trump would present his evaluation of Iranian compliance with the deal to Congress next month. Under the Corker-Cardin law, the president will also have to tell Congress whether the removal of sanctions on Iran continues to serve the interests of the US. According to the ambassador, the US and the world must deal with all of Iran's actions and not subordinate its terrorist activity and ballistic missile development to a flawed deal on its nuclear program. "In short, we must consider the whole picture, not simply whether Iran has exceeded the JCPOA’s limit on uranium enrichment. We must consider the whole jigsaw puzzle, not just one of its pieces." "That’s the judgment President Trump will make in October." 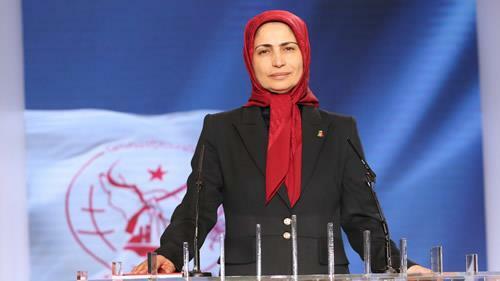 In these days the MEK/PMOI have elected Zahra Merrikhi as the new Secretary General. This election is yet another blow to the Mullahs in Tehran. The fact that MEK/PMOI are giving women the same opportunity to be elected as men is a paradox that will never happen under the current regime in Iran. If we take a closer look at Rouhanis cabinet there are no women appointed. Not even in the ministry regarding women and children. the fact is that Rouhani has appointed clerics that had key roles in the massacre of PMOI/MEK members and supporters in 1988. and the supreme leader Khamenei will never allow women to hold a position in the government. This election is a confirmation of Merrikhi’s good work in the resistance over the years since she joined PMOI in 1979. Ms. Merrikhi has dedicated her life to the struggle for freedom and democracy in Iran and when she was sworn in she pledged to bring freedom to Iran. The election of Merrikhi is striking fear in the mullahs regime as they see the Iranian resistance are growing stronger each day. 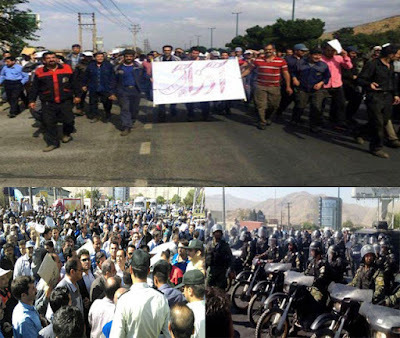 The protests in Baneh is an indication that the Iranian people are confident that the resistance will overthrow the tyrannic mullahs regime. And the protests are spreading across Iran. Never before have the regime seen such strength among the Iranian people, Iranians are no longer afraid of the regime and their henchmen IRGC and they are openly expressing their support to the Iranian resistance. The election of Merrikhi is strengthening the resistance even more. Under her leadership, the resistance will be able to topple the current regime in Iran and she will stand in the front line of the new democratic government in Iran next to Mrs. Rajavi. And this very fact is striking fear into the very core of the tyrannical regime, they know that their days are numbered and they are using executions and suppression as an attempt to stop the recent events from happening. It is evident that the regime is aware of the danger to their tyrannical regime as we can see that the regimes lobbies around the world and especially in the USA have gone to amazing length in their attempt to demonize MEK/PMOI. The extent of these lies is a clear indication of the extent of fear the regime has for the Iranian resistance. We will in the next coming days see both fake twitter accounts and fake «news» regarding the new Secretary General but the supporters of the Iranian resistance will counter all the attempts of demonizing accordingly as they surface, we know that in the end the will of the people of Iran will prevail and Iran will become free and democratic. And Iran will blossom and grow once again. Our most sincere congratulations to Zahra Merrikhi, you are a great asset to the Iranian resistance. 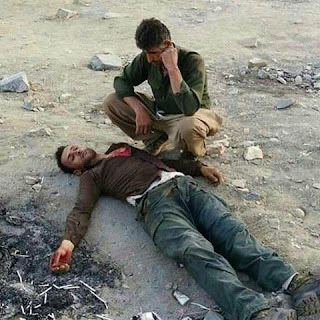 Today people in the city of Baneh exploded in the face of the mullahs regime, for many years Kurdish kolbars (border porters) have been target practice for the IRGC and today Iranians are protesting the assassination of the two kolbars Ghader Bahrami and Heydar Faraji. But these two are not unique, over the years kurds have been considered second-grade citizens by the regime and for many years the kurds have been defending their lives against the terrorist group IRGC. And today the Iranian people are telling the terrorist mullahs that they will not put up with the actions of the IRGC anymore, the volcano of Iranian willpower erupted in Baneh today. The protests today are a result of the regimes increase in killing poor Kurdish kolbars and tradesmen. The majority of Kurdish kolbars have no other choice than to work as kolbars due to poverty and lack of other options of work. Statistics say that more than 68 000 people are working as kolbars in Iran’s border provinces. The Sardasht region of Kurdistan has earned the reputation of being the deadliest border region in 2016, 18 kolbars killed or wounded by IRGC. So far this year the IRGC have murdered or wounded 100 kolbars and the numbers are rising. In 2017 we have seen that the age of the kolbars is lower than ever before, on the 21st of August,17-year-old Vahid Dolatkhan Jankanloo was shot dead in Yarimthe city of Mako. The numbers of dead or wounded kolbars so far for 2017 are almost doubled compared with 2016. just in the last month, a total of 21 kolbars have fallen victim to IRGC. In the first seven months of 2017, 24 kolbars was shot dead by the IRGC, 53 wounded. In total 47 kolbars have died in the first 7 months of 2017. Iranians in Bane are in their right to protest because of the failure of the regime to fight poverty in the Kurdish regions of Iran. Instead of working to end poverty and to create jobs in the region the regime are killing the men and boys that have no other option to make a living for their family. Today, September 5th, a large group of residents of the city gathered outside the governor's office to protest and they demanded that the attacks against the poor workers must end. A number of shops and markets were closed in support of the protest. In a number of video clips from the protest, we can see evidence of clashes between the protesters and the Iranian regime’s state security forces. The uprising of the brave people of Iran are in motion, the wave of the Iranians will sweep across Iran and sweep her clean from the regime. When the kurds and the Persians rise together the regime will fall, so let’s join forces and show the mullahs that we stand together for freedom and democracy. The Iranian resistance has repeatedly called on international organizations to condemn the killings of those poor workers by the Iranian regime’s revolutionary guards or state security forces. Ever since it was signed the JCPOA or nuclear deal have raised controversy in many parts of the world. The deal gave Iran quite a lot of money when frozen assets were released. The regime has not used the money to aid the Iranian people but in fact used it to wage war in Syria, Iraq, and Yemen. Let’s take a look at the deal, it was an attempt to curb Irans plans of obtaining a nuclear bomb, there is only one problem, the regime have total control over the scientific and social environment in Iran and can easily hide reactors if they want to. the regime has also prevented observers from entering some facilities, therefore making it very difficult to survey Irans enriched plutonium and uranium stock. The deal was supposed to limit Irans heavy water plants and to limit the number of centrifuges. If that actually is the case remains to be seen when the nuclear deal expires. 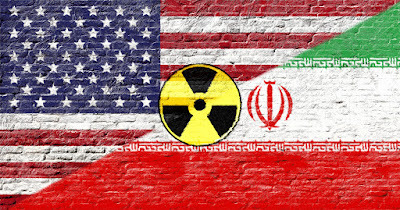 Obama’s appeasement policy has backfired badly, although it may have slowed down the process it has not been able to stop Iran's quest for a nuclear bomb. As we have seen in the recent months the Trump administration has little or no respect for the appeasement policy, they want to show Iran who is the boss, the Iranian lobby is terrified of this change of policy because they know that Trump actually is capable to curb all of Irans plans of a Shiite crescent in the middle east ruled from Tehran. The Iranian regime’s lobby also knows that if Trump wants a regime change in Iran it will happen. Nothing is more terrifying to the clerics than a regime change where they will be stripped of all power and privileges. Therefore in these days, we see war scenarios coming from the pro regime agents in the USA particularly, they want to prevent Trump from laying more sanctions on the Iran regime. There will be two scenarios with this deal, one if Trump cancels the deal Iran will have free hands to acquire a nuclear bomb and rest assure that is most likely to happen very soon. Even if we think Iran is not researching nuclear energy openly all is ready for a bomb. 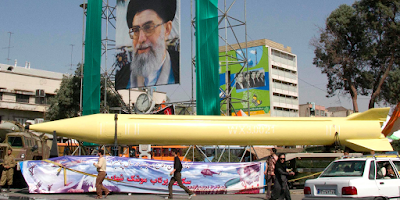 North Korea will give Iran regime all they need to become a nuclear power. Secondly, North Korea’s Kim will look like a Sunday school boy compared with the supreme terrorist of Iran Khamenei. The only solution to assure that Iran is nuclear free is to bring forth a regime change. The Iranian resistance has made it very clear that there will be no nuclear weapons in their future Iran, and they have also made it clear that one of their main goals is to bring peace and tranquility to the whole region, to end all wars. The ten point plan by the NCRI clearly states that Iran shall be nuclear free. Maryam Rajavi has stated that one of the main issues to be addressed when the regime change is a fact is that all Iranian troops will be called home to Iran, Iran will no longer be warmongering in Syria, Iraq or Yemen. And that the main task for the resistance will be to pave the way to democracy and freedom for the Iranian people and the Middle East.